Not enough time in the day. Not enough time to get everything done. Not enough time to begin a project, to have a conversation. Not enough time with a loved one. Not enough time. Not enough. I am certain that in a world that seems to move at an ever increasing pace, almost every one of us has, at some point, uttered the wish for more hours in a day. Because of the pressure of to-do lists that never get completed, have you ever jammed more than is humanly possible into a day or tried to eliminate sleeping hours from your schedule? 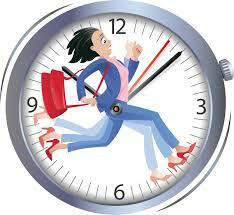 Has your feeling of not enough time, not getting things done ever been turned into a story of you not being enough? Time. It is relative. When my older sons were little I remember one of them saying to me after I probably said, “Just a minute”, “Mom, minutes are long.” Minutes are long. They are short too. The day I stood on the mountainside in Gold Lake, Colorado in 2009, minutes were timeless, time out of time. 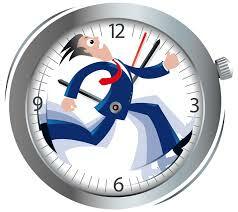 Minutes can be 60 seconds and it can be a turn of a phrase where we have not assigned it a finite meaning of time. Have you noticed that jamming the day full to the brim of all those endless to-do’s doesn’t seem to solve the problem? Often it exacerbates it because time to refresh and renew is not scheduled in, leaving less opportunity for intentionality – intentionality in the stories you tell yourself and intentionality in your actions – so your stories count, your actions count, your passion is tapped into and surfaced so you feel yourself more alive in any of those precious moments. What to do? There are many things to do to address the feeling that there is not enough time. Here are seven offerings on how to MAKE IT COUNT. 1. Tell yourself a better story – even if, as you begin it it doesn’t feel true – because neither is the story you have defaulted into. Tell the story that supports how you want to be, how you want to show up, how you want to feel about time available to you and about your life, your path, your journey. Tell a story that makes these things count. 2. Who are the people you value – in life and work? Significant other? Children? Parents? Friends? Colleagues? Work partners? Others you work with or for? Schedule them in. Make the time for visits, phone calls, checking in. Otherwise, opportunities are missed and one day we may come to regret it. 3. Know your own priorities and dedicate time to work on them without distractions. One distraction is the priorities that others land on you. Do they need to become your priorities or can they be handled in a different way or at a different time? Surprise yourself. Ask the question. 4. Say no. Not arbitrarily but with intention. It makes your yes more powerful and you can be more committed to your yeses when you know you have not taken on things that don’t fit with your passion, your goals, your context, because you thought you should, because you felt obligated, because you were asked. Things that end up being done half heartedly because your heart wasn’t in it. 5. Turn off email. Yes. It is possible. It can be done. Pick a time or two of day when you will respond and be disciplined about it. Do you have your social media linked to your email that keeps distracting you back to social media? Turn it off. You can visit social media whenever you want, and you can schedule it. You really won’t miss that much. 6. Do you know what renews you? Exercise. Quiet. Music. Meditation. Walking. Sleep. You name it. Go do it! Schedule it in. You will be able to tackle that to-do list with more energy and move through it faster. 7. Need a half day for a project but can’t find it. What are you doing with those 5, 10, 15 minute slots of time that show up between calls, before lunch, before heading out to a meeting? What if you opened a document? Formatted a proposal? Captured a few thoughts? Read a few pages in a book that inspires you? You might be surprised how those brief intervals of time can add up to meaningful segments when you approach them with more intentionality and the same spontaneity you bring to surfing the web or other distractions that come your way. Distractions are not all bad. But time is a precious commodity. Doesn’t mean every minute has to be filled with doing. It’s better if some of it is filled with being, renewing, remembering. There are enough hours in the day, in the week. Make them count.